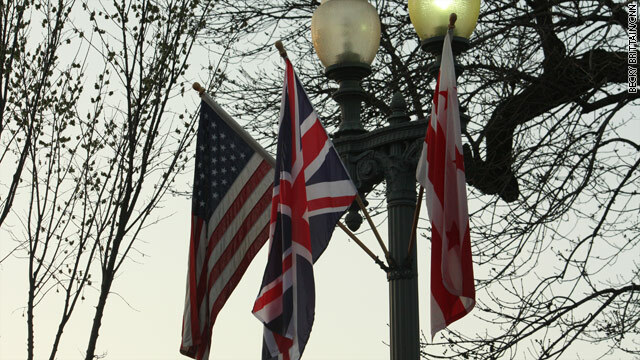 It's all things British today at the White House with the official visit of British Prime Minister David Cameron. It's a day of pomp and circumstance here at the White House and President and Mrs. Obama welcome Mr. and Mrs. Cameron on the South Lawn for the official welcome ceremony. The two leaders will make brief remarks and there will be a review of the troops. Afterwards, the two leaders will have a bilateral meeting in the Oval Office followed by an extended bilateral meeting with their respective delegations. We'll hear from both leaders at a press conference in the Rose Garden close to noon. We expect each leader to take two questions from their press corps. Tonight is the big state dinner on the South Lawn. We'll hear both leaders give toasts and we'll get a taste of the entertainment. For a full release of the White House's schedule, click below. #1 thing on schedule: lie all day and decieve public. My son is part of the troops for the military review. Is there any way to watch this online or on TV? I hope the Prime Minister will also talk of the Health Subject at the White House especially on the subject of CCSVI.in the the official visit. The two leaders have to break the silence on this promissing procedure to Multiple Sclerosis Patients, which affect both nations. Migrant offenders gitluy of assault, including those who attack police officers, will be offered a conditional caution so long as they leave the country. It means they will avoid the courts and the risk of a prison term with effectively little more than a “slap on the wrist”. They could still be able to apply to return to Britain after two years. I loved as much as you will receive performed proper here. The caricature is attractive, your authored subject matter stylish. nevertheless, you command get got an edginess over that you wish be handing over the following. unwell certainly come further earlier again as precisely the same just about a lot continuously inside of case you shield this increase.